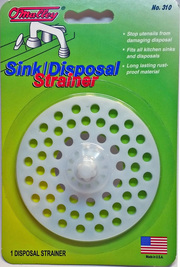 The O'Malley Sink/Disposal Strainer fits nearly all garbage disposal and kitchen sink drains. 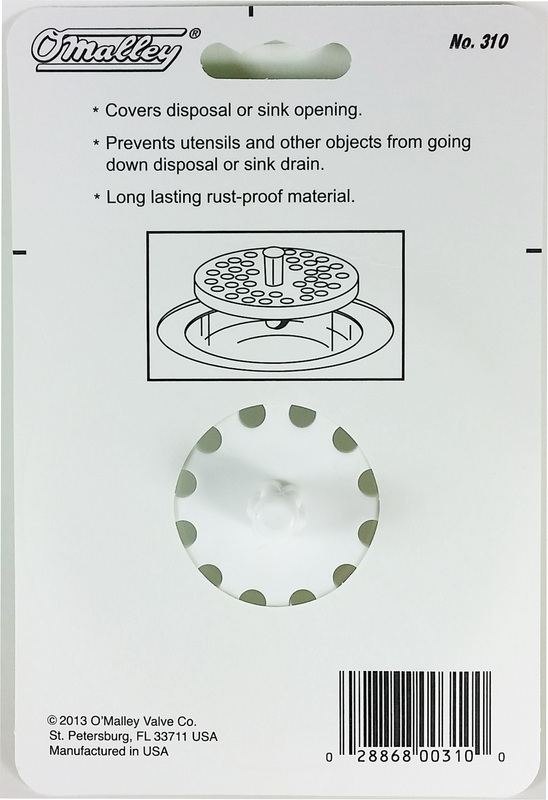 Measuring 3 inches in diameter, the Sink/Disposal Strainer will prevent unwanted items from falling into the garbage disposal that may result in damaged kitchenware and garbage disposals. 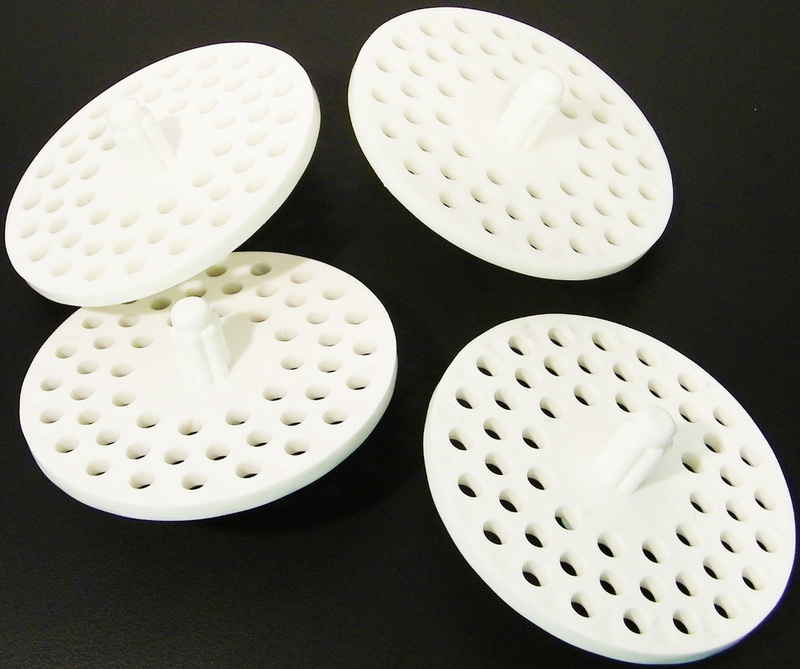 It is a much better strainer than most on the market as it is durable and has no moving parts or rubber that would be prone to failure. 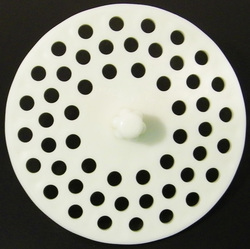 Made from a modern multi-purpose plastic it will not fall apart, discolor, or infect with mildew; which many other strainers on the market commonly do. 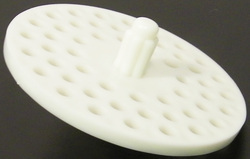 This product is made in the USA on our modern robotically equipped injection molding machines. 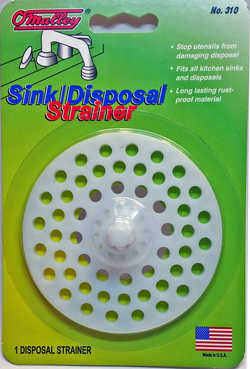 This allows us to sell the Strainer at a low price without the hassles encountered of importing from abroad. The Sink/Disposal Strainer is available in a wide variety of packaging configurations including: full retail blister packaged, mail order, or in bulk.